Imagine an assistant. One who understands your happiness, anger, sorrow, and laughter. One who knows what you want to watch based on your feelings even before you figure out what your feelings are. This is the ideation of Gong Yu and iQiyi – to create a technology that provides personalized content and entertainment. How? AI and facial recognition. Facial recognition algorithms are developed to identify human faces in different shows while AI will extract their corresponding clips. If a user enjoys the performance of a certain actor or actress, she can watch clips that features said actor. But fact is, iQiyi said they are doing more than just the common application of personalized content. The internet entertainment company is planning to develop a technology that can assist directors in casting actors and editing films. While starring roles will still be decided by directors, iQiyi will build a database for actors containing their physical information, theatrical genres, behavior patterns, as well as their on-screen time that determine their popularity. The longer the time is, the more popular the performer is. And all this data collected through algorithms will also apply to business development and decision making, helping to estimate an actor or actress value in terms of promotion and marketing. Entertainment is just one figment. 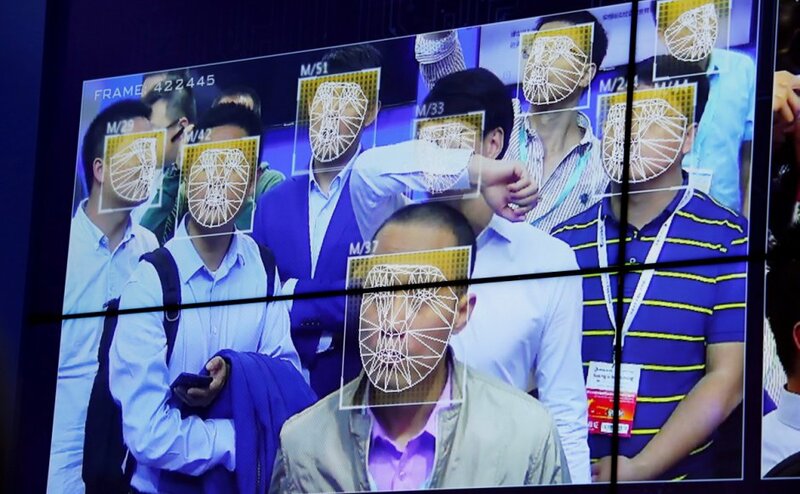 Truth is facial recognition is now going country-wide in China. From paying the bills to matchmaking, facial recognition has been integrated into different industries in China. The business has grown even bigger as local governments adopted it to boost surveillance, through building a giant facial recognition database that is capable of identifying its citizens within seconds. SenseTime, the artificial intelligence company behind this facial recognition technology is the unicorn born from government pushing this need. The startup with a valuation of more than US$3 billion sees surveillance making up a third of its business. In spite of the public concerns with privacy, the facial recognition tech has proven to be useful – helping law enforcers to successfully catch a white collar fugitive among a 50,000 crowd at a Jacky Cheung concert. Similarly, in Singapore, the local government is also implementing GovTech, a Singapore government plan to lamp post-as-a-platform pilot project which is expected to begin in 2019. This is part of a broader Smart Nation plan which can be used to improve people’s lives and perform crowd analytics and follow-up investigation. In Southeast Asia, facial recognition is also gaining commercial use. In Malaysia, AirAsia is using this biometric technology to authenticate guests in an effort to streamline the on-ground experience. Meanwhile, 7-Eleven in Thailand is also rolling out artificial intelligence at its 11,000 stores across Thailand. The convenience store intends to use facial recognition and behavior analysis technologies to identify loyalty members, analyze in-store traffic, monitor product levels, and even measure the emotions of customers as they walk around. And while China’s government is hoping to install 400 million surveillance cameras with facial-recognition by 2020, the rollout at Thailand’s 7-Eleven stores remains unique in scope. Facial recognition could potentially be an essential biometric in our scope of daily lives.